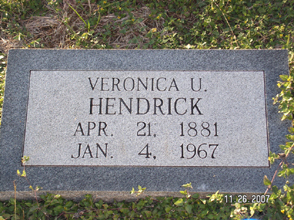 Grave inscriptions and photos, Palm Catholic Cemetery, SW of St. Mary's Catholic Cemetery, Stockdale, Wilson County, Texas. The Soloman B. Jackson Family in Wilson County, Texas by Jack Jackson, 1998. This book says: "A number of letters written from Brooklyn and Dublin by John and his wife Gertrude have survived". mar Edoleen Riddle [or Edolene], no issue. bur Palm Cemetery, Stockdale, Texas. From Palm Cemetery in USGenWeb Archives. (Left) Grave of John Kane Hendrick. 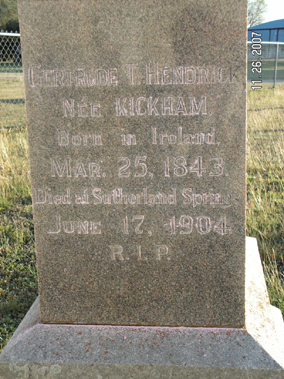 (Right) Grave of Gertrude Kickham. 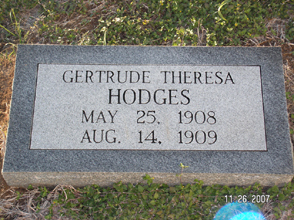 Grave of Gertrude Theresa Hodges. 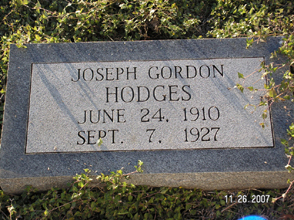 Grave of Joseph Gordon Hodges. Jeanoyce Wilson of Austin, Texas (in-law of Edoleen Riddle). Sheila Jackson Cantrell. 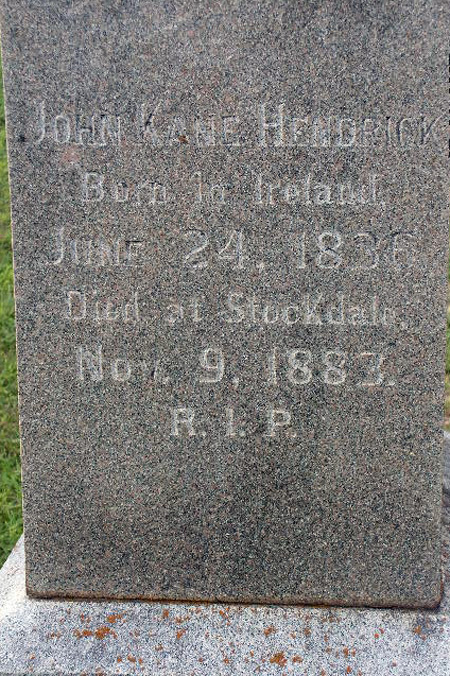 She refers to "my relative, John Kane Hendrick(s)".